Aviator Rose Agnes Rolls Cousins. March 25, 1878: Attorney General Armistead Abraham ‘‘Cousin Abe’’ Lilly was born at Jumping Branch, Summers County. Lilly appealed the Virginia Debt Suit to the U.S. Supreme Court; when settled, it was estimated that Lilly saved the state a large sum of money. March 26, 1851: Upshur County was created from parts of Randolph, Lewis, and Barbour counties, with Buckhannon as the county seat. March 26, 1863: The state’s first constitution was overwhelmingly ratified by the voters, by a majority of 28,321 to 572. The constitution was drafted during the state’s first Constitutional Convention at the federal custom house in Wheeling. 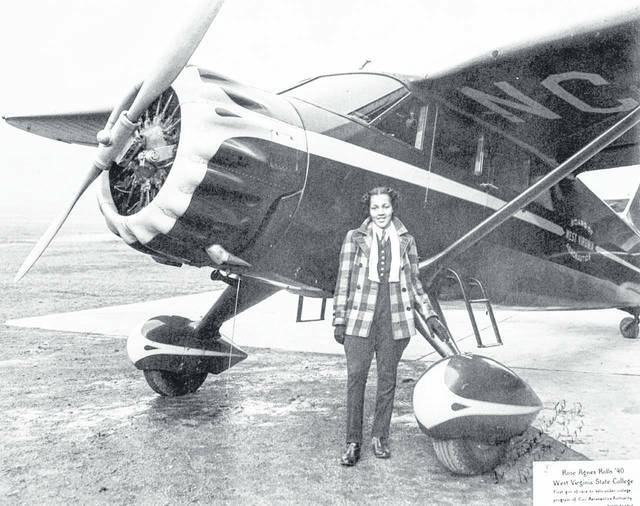 March 26, 1920: Aviator Rose Agnes Rolls Cousins was born. She was the first black woman to become a solo pilot in the Civilian Pilot Training Program at West Virginia State College (now University). March 27, 1917: Statesman Cyrus Roberts Vance was born in Clarksburg. In 1977, President Carter tapped Vance as his secretary of state. In 1978, Vance was instrumental in the Camp David peace accord between Egypt and Israel and in negotiating the Panama Canal Treaty. March 28, 1870: State officials, with state records and property, boarded a steamboat called Mountain Boy, one of six steamboats that moved West Virginia’s capital from Wheeling to Charleston. March 28, 1941: Musician Charlie McCoy was born in Oak Hill. One of the most significant harmonica players in country music, his work can also be heard on rock ‘n’ roll albums. He was the musical director for the television program Hee Haw. March 29, 1834: Henry Mason Mathews, the fifth governor of West Virginia, was born at Frankford, Greenbrier County. There were strikes and riots during much of his administration, including the national railroad strike of 1877, which began at Martinsburg. March 29, 1858: Clay County was created from parts of Nicholas and Braxton counties and named for Henry Clay, the U.S. senator from Kentucky. March 30, 1837: The Virginia legislature granted a charter to establish a private academy at West Liberty, north of Wheeling in Ohio County. The first class of 65 students met in the home of the Rev. Nathan Shotwell in 1838. The school is now known as West Liberty State University. March 30, 1926: Actor, singer and game show host Peter Marshall was born Ralph Pierre Lacock in Wheeling. His career includes Broadway, television and over 5,000 episodes as host of The Hollywood Squares.